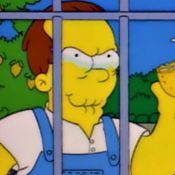 I stole my sister’s copy of The Sellout by Paul Beatty over Christmas. Pummelled it in a few days which is much faster than I normally go! 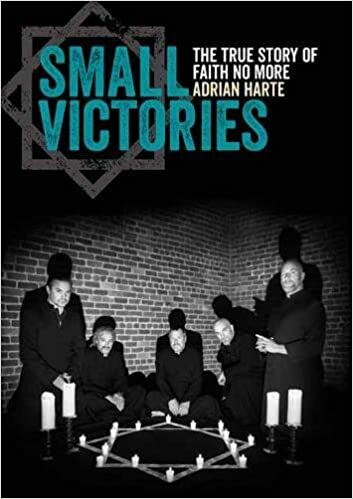 It’s set in LA and is about racial politics within a mostly black and Hispanic town. It was really funny and superbly written. It won the Bookerman Prize I the UK last year so don’t just take my word for it! I've recently read Johan Cruyff's autobiography. Really good read, I'd recommend it if you're interested in all things football. I was a big Steven King fan when I was young but had never read the dark tower series. When the movie was coming out i decided I should read the books. Had no idea what I was getting myself into at the time. 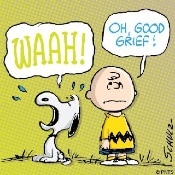 I just finished the last of the original 7 books. Something like 4000 pages. Now that the movie was largely panned, I'm not super interested in seeing it. I did enjoy the books even though cowboy sci fi has never been my thing. 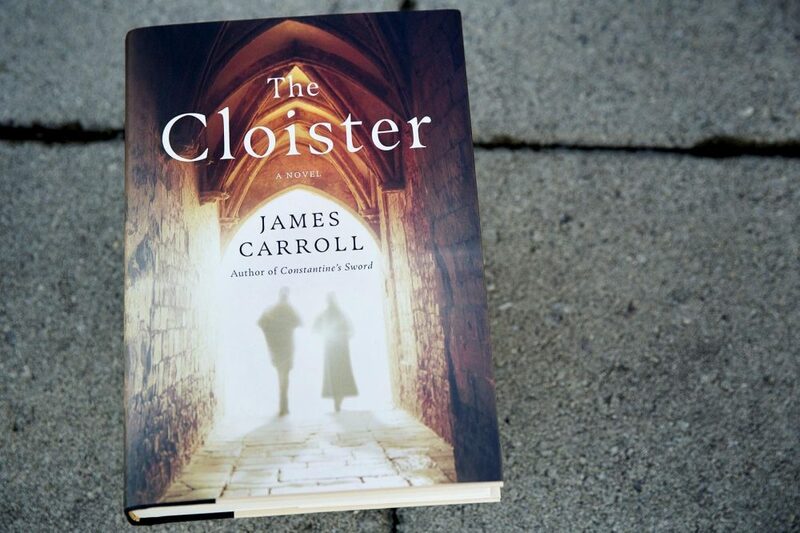 I just finished The Cloister by James Carroll. This is the first piece of fiction I've read by him. I highly recommend it. MARCH 16, 2018 —With The Cloister, James Carroll manages a balancing act that would have thwarted lesser novelists. He juggles three stories, from different eras, that each probe deeply into matters of faith, dogma, complicity, and forgiveness. The book, as its title suggests, has a great deal of religion at its center, specifically Roman Catholicism. It's a tradition that Carroll knows well, both as a historian and a former priest. Readers familiar with his previous work, especially the 2001 nonfiction book, “Constantine’s Sword: The Church and the Jews,” will recognize at least one of Carroll’s preoccupations in this novel: the idea that 20th-century anti-Semitism had its roots in the Catholic Church’s centuries-old assertion that the Jews were to blame for the death of Jesus Christ. The book’s two main characters are Michael Kavanagh, a priest, and Rachel Vedette, a Jewish Holocaust survivor, who meet in the unlikely setting of The Cloisters in New York in the 1950s. The Cloisters is the Metropolitan Museum of Art’s outpost of medieval art atop Fort Tryon Park, overlooking the Hudson River. As the two protagonists become acquainted, the reader begins to understand that their present lives are deeply affected by their perceptions of past mistakes. We learn about Rachel largely through flashbacks to her life in Nazi-occupied Paris, when she helped her father research an important book on the 12th-century Christian philosopher Peter Abelard. The monk, whose name has been linked with that of his paramour, Héloïse, was an early supporter of Jews in France. The church condemned Abelard as a heretic, effectively silencing his campaign to change church attitudes about the Jews. Rachel and her father believe that Abelard’s writings point to a fork in the road for Christianity. The story “could have gone another way, and the pivot point, ages ago, was the place of the Jews.” By publicly identifying France’s legendary monk-hero with tolerance toward the Jews, they hope to change the minds of their fellow citizens, whose fear of the Nazi occupiers and hatred of the Jews (fueled by centuries of church-sanctioned vilification) is leading them to betray their Jewish neighbors. As a counterpoint to Kavanagh’s and Rachel’s stories, the book also weaves the tale of Héloïse and Abelard, “the Romeo and Juliet, Tristan and Isolde, Lancelot and Guinevere of la France.” Their devotion to each other, body and soul, showed through their letters when they were forced to live apart (he was banished to a remote monastery, she was sent to a convent). Readers looking for salacious details about their relationship will be disappointed, because author Carroll is more interested in minds than in bodies. In particular, he gives Héloïse the role of Abelard’s champion: She’s the one who preserves Abelard’s writings for a future age, hiding his manuscripts in the cloister garden. It’s a nice touch, to point out that this powerful noblewoman was the first person to recognize the future implications of Abelard’s teaching, not just as it related to the Jews, but also as it regarded the nature of God’s universal love. This is heady stuff for a novel. Carroll, as religious historian and church insider, goes into a fair amount of ecclesiastical detail about the 12th century, which will fascinate some readers and send others skimming to the end of the chapter. But he keeps the action moving along, particularly in the Paris scenes as Rachel’s story plays out against the backdrop of French collusion with the Germans. Carroll is at his best in the last few chapters, when he explores each of his characters’ feelings of culpability for the tragedies that they knowingly, and unknowingly, set in motion. For Héloïse, Rachel, and Kavanagh, the challenge is how to move forward, fully conscious of the hurts they’ve inflicted, but not seeking a facile or temporary forgiveness. Here in the braiding together of the three stories, past and present, Carroll shows that for his characters, and indeed for all of us, the greatest wisdom may lie in forgiving oneself. That sounds great! I'm going to procure a digital copy. 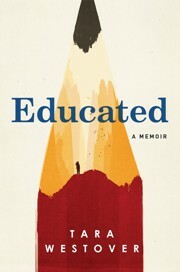 Just finished Tara Westover's memoir Educated. It's a page turner. Tara Westover's coming-of-age story follows her upbringing in a survivalist family, and her decision to leave that life behind. Tara westover’s one-of-a-kind memoir is about the shaping of a mind, yet page after page describes the maiming of bodies—not just hers, but the heads, limbs, and torsos of her parents and six siblings, too. The youngest child in a fundamentalist Mormon family living in the foothills of Buck’s Peak, in Idaho, she grew up with a father fanatically determined to protect his family against the “brainwashing” world. Defending his isolated tribe against the physical dangers—literally brain-crushing in some cases—of the survivalist life he imposed was another matter. Westover, who didn’t set foot in school until she left home in adolescence, toiled at salvaging scrap in his junkyard, awaiting the end days and/or the invading feds her father constantly warned of. Neither came. Nor, amazingly, did death or defeat, despite grisly accidents. Terrified, impaled, set on fire, smashed—the members of this clan learned that pain was the rule, not the exception. But succumbing was not an option, a lesson that ultimately proved liberating for Westover. In briskly paced prose, she evokes a childhood that completely defined her. 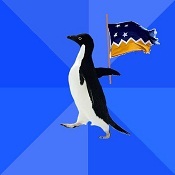 Yet it was also, she gradually sensed, deforming her. Baffled, inspired, tenaciously patient with her ignorance, she taught herself enough to take the ACT and enter Brigham Young University at 17. She went on to Cambridge University for a doctorate in history. For Westover, now turning 32, the mind-opening odyssey is still fresh. So is the soul-wrenching ordeal—she hasn’t seen her parents in years—that isn’t over. Starting Jon Meacham's The Soul of America. I went to a book signing last night where he spoke for about an hour with a Q & A at the end. He shared several humorous personal anecdotes. Smart, funny, down-to-earth guy. Saw this this am and it looks great for those who've any interest in critical theory, specifically the debate on language and authorial intent v reader interpretation. Can anyone recommend a really good music autobiography? Reading Lemmy's at the moment. Ideally I'd like another 80's style one like Slash, The Dirt or Duff's one purely because my head's in that era at the moment. I'm quite happy to go elsewhere though. The Cure: Never Enough and AK's: Scar Tissue. Bruce Springsteen's: Born To Run was the most articulate autobio I have ever read integrating music as the only natural result from a really soulful and smart, if highly conflicted person. This one just came out. I've had it for a few weeks but I haven't read it yet. Pretty much like all books I get. Cool, thank you. Definitely, definitely interested in the Cure and AK. And Faith No More, yes please! I’ve never been a fan of Springsteen but I imagine he’s got some very interesting stories. I remember Tom Morello speaking about him on Nikki Sixx’s show. He was saying his E street band was superb and they played about 180 different songs in about 38 shows or something? Just started the Shakespeare Requirement. It is hysterical. Now is the fall of his discontent, as Jason Fitger, newly appointed chair of the English Department of Payne University, takes arms against a sea of troubles, personal and institutional. His ex-wife is sleeping with the dean who must approve whatever modest initiatives he undertakes. The fearsome department secretary Fran clearly runs the show (when not taking in rescue parrots and dogs) and holds plenty of secrets she’s not sharing. The lavishly funded Econ Department keeps siphoning off English’s meager resources and has taken aim at its remaining office space. And Fitger’s attempt to get a mossbacked and antediluvian Shakespeare scholar to retire backfires spectacularly when the press concludes that the Bard is being kicked to the curricular curb. Lord, what fools these mortals be! Julie Schumacher proves the point and makes the most of it in this delicious romp of satire.